Underlining the need to set up one cancer institute in every state, Union Health Minister J P Nadda said the government is developing 20 such centres across the country. 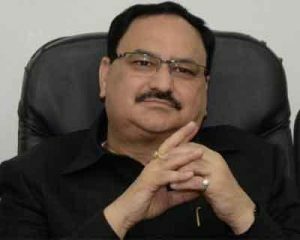 Nadda, addressing a four-day global conference on head-neck cancer here, also said the National Cancer Institute (NCI) at Jhajjar will be commissioned in July 2018. The conference was organised by International Federation of Head and Neck Oncologic Societies (IFHNOS) and Foundation for Head-Neck Oncology (FHNO). “The government is committed and all type of support will be given to address cancer. We are giving special emphasis to tertiary healthcare and 11 new AIIMS are coming up in central, northern and north eastern and eastern parts of the country, which have less infrastructure,” he said. “We are also developing two National Cancer Institutes. In Jhajjar, we are spending Rs 2,035 crores and it will be completed by March 2018 and commissioned in July same year,” Nadda said. The minister said that all states should have one cancer institute. “We are developing 20 cancer institues. We want that all states should have one cancer institute. We are developing 50 tertiary cancer centres. Each NCI will be established by spending Rs 150 crores and Rs 40-45 crores will be spent on tertiary cancer care centres,” he said.